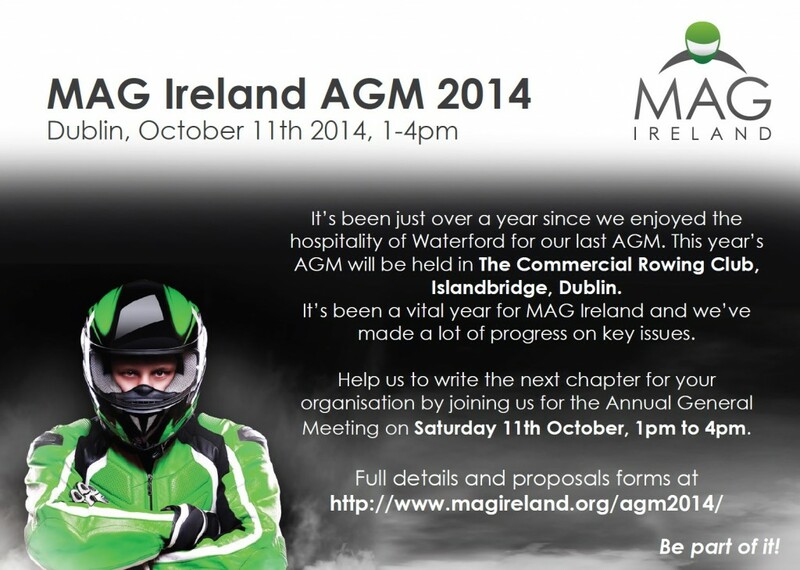 The 2014 Annual General Meeting of MAG Ireland will take place from 1 pm on Saturday 11th October 2014 in the Commercial rowing Club, Islandbridge, Dublin 8. This is a members only event, and a current valid membership must be produced on the day. Lapsed members can renew at the AGM. If you are unsure of your membership status, e-mail office@magireland.org with your name and address. Proposals or Nominations for consideration at the AGM must be received by the MAG Ireland office not later than 5pm on Friday 26th September 2014. NB: Scanned/emailed copies of forms are acceptable. All Proposals must be signed and seconded by current members. All Nominations must be signed by the nominee and seconded by current member(s). Please advise any members you know of the AGM date and double check your membership is current. If unsure, contact us.